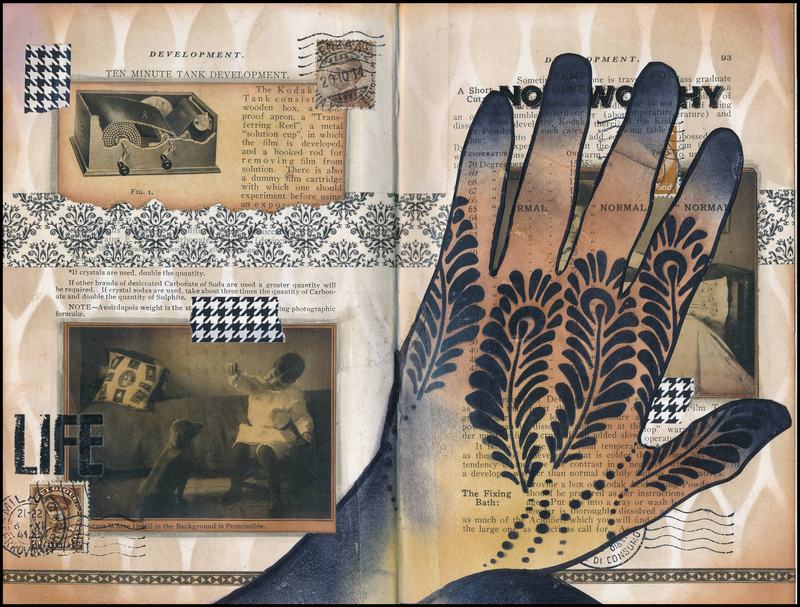 Shaped pages can be fun to include in art journals! Here, I traced the shape of my own hand and cut the page to that shape. I used Distress Inks and blending tools to apply colour to the hand, and a stencil to add the feather pattern. 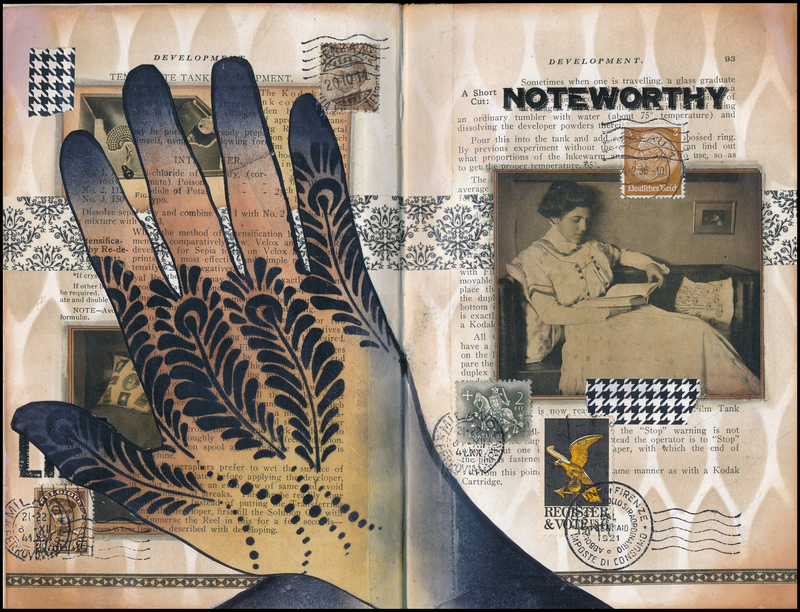 For the rest of the page, I applied a faint pattern to the background using stencils, blending tools and Distress ink, and added images cut from other pages, washi tape, postage stamps, and rubber stamps to add additional features. The words “Life” and “Noteworthy” are rubons. I like the way this page turned out — especially the hand-shaped page that provides an unexpected surprise! You’re right! This. Was such a fun page.